We are delighted to have heard that we have won the Award as Best Hospitality Trade Association in the UK in the 2016 Corporate Excellence Awards. The Awards are aimed at organisations "who have proved, without a doubt, that they have been achieving business excellence despite the challenging conditions that this year has presented". The Bed & Breakfast Association has been awarded the accolade of best trade association in Britain at representing its members and its sector - out of 313 trade associations across all sectors of business. 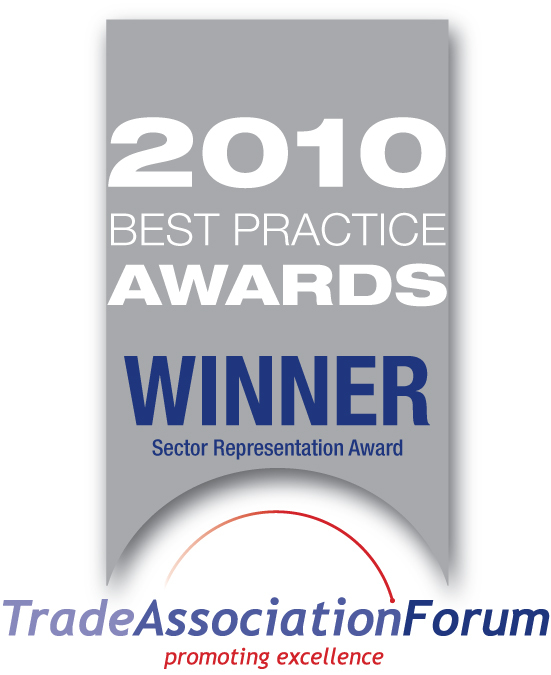 The Trade Association Forum, the official body for trade associations established by the CBI with Government support, awarded the Association the highly competitive "Sector Representation Award" for 2010. The Award was presented to David Weston, Chief Executive of the Bed & Breakfast Association, by Nick Hewer (Alan Sugar's right-hand man on The Apprentice) at a Gala dinner in London. 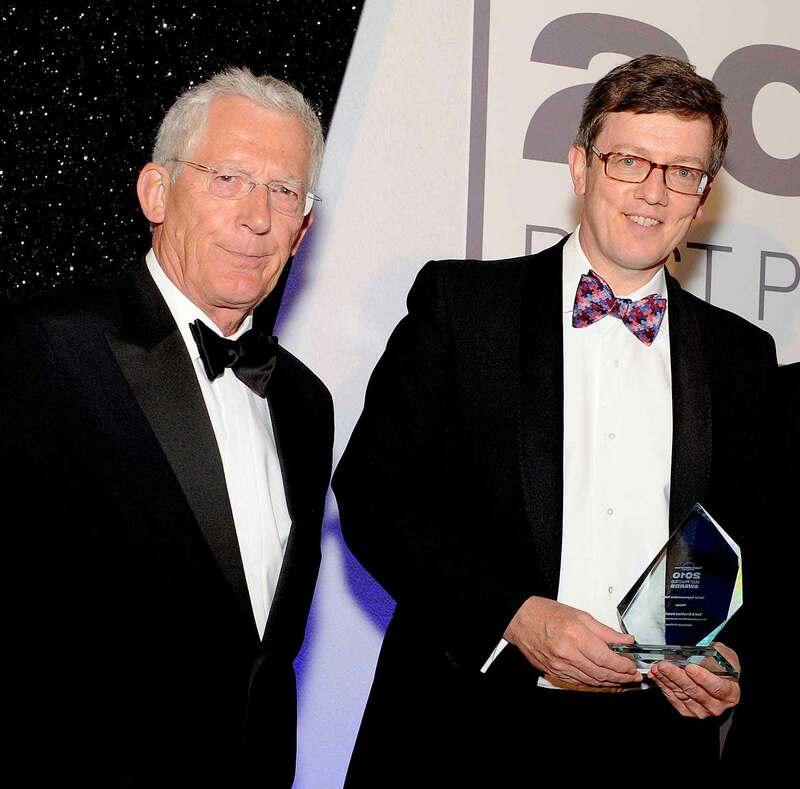 The picture (above) shows David Weston receiving the Award from Nick Hewer. Mr Weston said: "We are absolutely delighted to have received this amazing accolade - as a relatively new trade association with a very small part-time team, it is an honour to have won the most prestigious UK award - and in the most sought-after category too: for success in representing our sector. We are proud to have been judged the best - but above all, are very proud of what we have been able to achieve for our members." The Bed and Breakfast Association was formed to inform members of matters affecting their businesses, including imminent legislative changes, to represent members' interests in consultations with Government and others, and to provide information and support services to members. There are many reasons to join us.